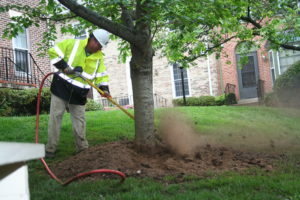 RTEC Treecare is an environmentally friendly and conscious company that focuses on the care of trees, starting with the roots. 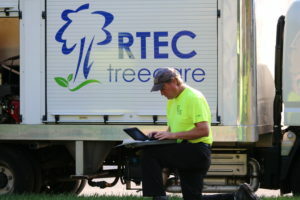 As leaders in the industry, RTEC focuses on ways to improve the client’s trees, property, and protect the environment. RTEC’s diverse plant health care services consist of eco-friendly products, innovative technology, and effective plant health care solutions. 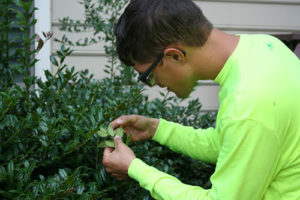 RTEC Plant Health Care Technicians perform health care services for tree and shrubs on residential, commercial, and government properties. All our technicians utilize integrated pest management techniques to provide a whole and complete solution for the client and their property. Our plant health care technicians are encouraged to keep up with new research and spearhead innovative programs and techniques. A few of our programs developed by our plant health care technicians include; organic mosquito programs, beneficial insects release programs, and native pollinator gardens. Superior knowledge to perform all functions of the integrated pest management program (administration, scheduling, inspections, sampling, treatments, inventories, equipment maintenance, record keeping, report writing, and customer relations). Ability to identify a wide range of plant species and to treat a comprehensive variety of diseases, disorders, damaging insects. Drive and enthusiasm for a continuing education. Must possess knowledge of the PHC products and the ability to operate all of the PHC equipment RTEC utilizes. Must possess or be able to obtain all proper licenses and certifications. One of the hallmarks of an RTEC employee is the tenacious pursuit of doing the right thing. This value is found at every level of RTEC Treecare. At the end of the day, we want to make sure our clients feel as though we have done the right thing for them and their trees. But doing the right thing doesn’t stop there. As a company, we promise to do the right thing for our employees too. This mutual level of respect and professionalism allows us to work as a team and grow the company as well our individual skills. Highly equipped and trained teams that focus on safety, quality, and doing the right thing. A safe, stable, and dependable (Year Round) work environment. Training and career advancement opportunities. Recognition and rewards for exceptional performance. Excellent administrative support so you can focus on serving the customer. A high-tech working environment that embraces new technology and best practices. Stable & Rapidly Growing Business.